My team and I spend a lot of time helping our clients find the cheapest Prescription Drug plan based on their own situation, and we wanted to share how we do it with you. If you'd like to see it done, here's a short class (7/12 minutes) that will walk you through it, step by step. You might already know that the reason I got into the Medicare Insurance business is because of my husband. He wasn't given all of the information he needed in order to make a good decision about purchasing a drug plan (namely that there was a lifetime penalty for not choosing one). Finding the cheapest prescription drug plan is simple. 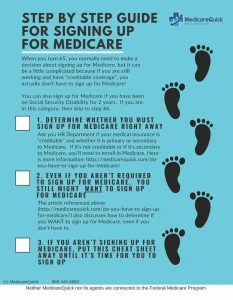 Just go to Medicare.gov and use the tool. I'll go over the steps below, but you can also watch a tutorial that we created just for you. If its helpful, please post a comment, subscribe, or share it–chances are it will be helpful to your friends as well. If you are doing this during the Annual Enrollment Period, you'll need to escape out of the enrollment area. Click here to watch the video. Enter your Medications, dosages, quantity purchased, how often purchased, and whether you purchase via retail or mail order. You will do this for each drug, and you can enter up to 25 medications. Do not enter over the counter drugs. If you can take generic versions of your drugs, indicate that if a pop up screen comes up. Taking generic instead of brand name drugs can save you thousands of dollars per year. Save your Drug List ID and password date, so that if you want to do this again next year, you don't have to type in all of your medications again. Click “my drug list is complete” when you are finished entering your medications. Select “Prescription Drug Plans”. You can also select “Medicare Advantage Plans” if you want to see how much your medications are expected to cost you under those plans. The site will automatically sort the list of all the PDP plans in your area. Review the star ratings on the top three, and if they work for you, select the first three plans. If you want higher star ratings, select the top three that have the rating you would like. Click “Compare Plans”. Scroll down until you see “Estimate for what YOU will pay”. This gives you the top three plans, and compares them based on the information you entered. That's it! That is how to find the cheapest prescription drug plan based on your own personal information. For more detailed information, feel free to watch the video. We recommend that you go through this process each and every year. It can literally save you hundreds, if not thousands, of dollars on your medications.